Illusion and Plunging V-Neckline Slim A-Line Gown. 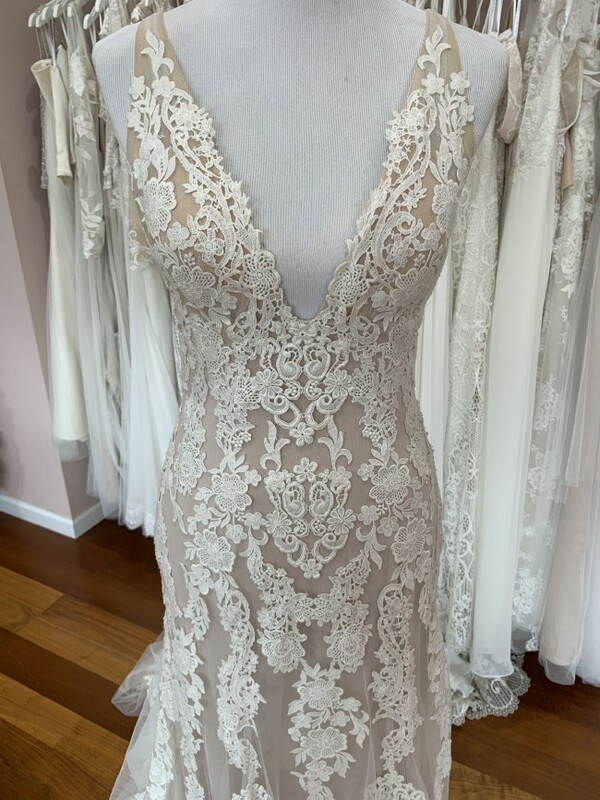 This dress is stunning and in amazing shape! You are guaranteed to WOW in this v-neck style. *If this listing is up, the dress is available. We ship anywhere within the US.